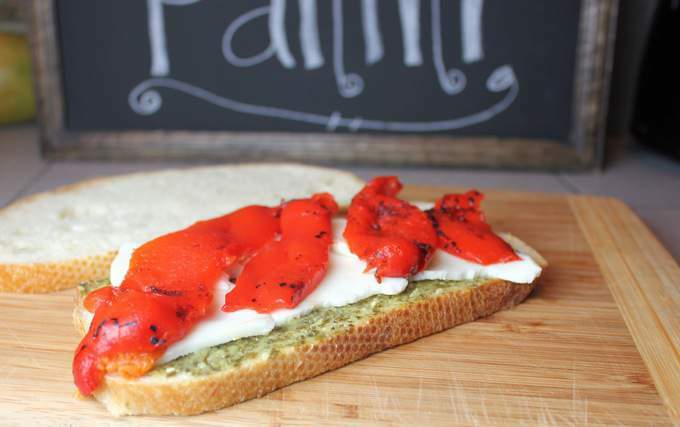 You are here: Home / Bread / Panini 101 – Make the perfect Panini! No Special Equipment needed! 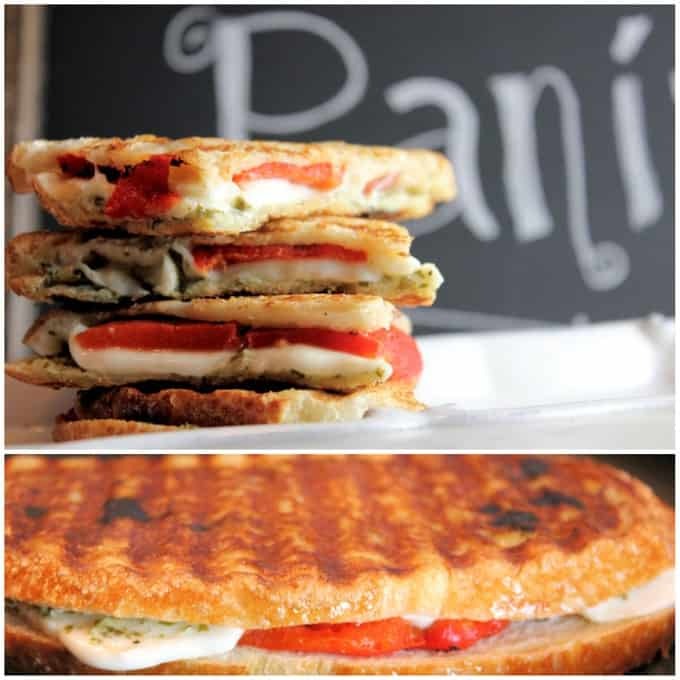 You can use this basic recipe to make homemade Panini’s that are as good as any fancy sandwich shop or restaurant. 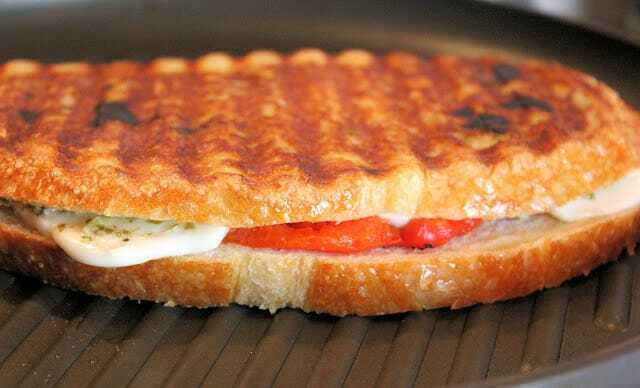 I used fresh Mozzarella, Pesto and Roasted Red Peppers for a Caprese style Panini. I substituted Roasted Red Peppers instead of traditional tomato because I think it adds a lot more flavor and tomato’s can make your sammie mushy. If you use tomatoes, be sure to deseed or chop in pieces before grilling. This is more of a technique than a recipe. You don’t need a fancy Panini press to make these. All you need is a non-stick grill pan, a heavy pan to weight it down. 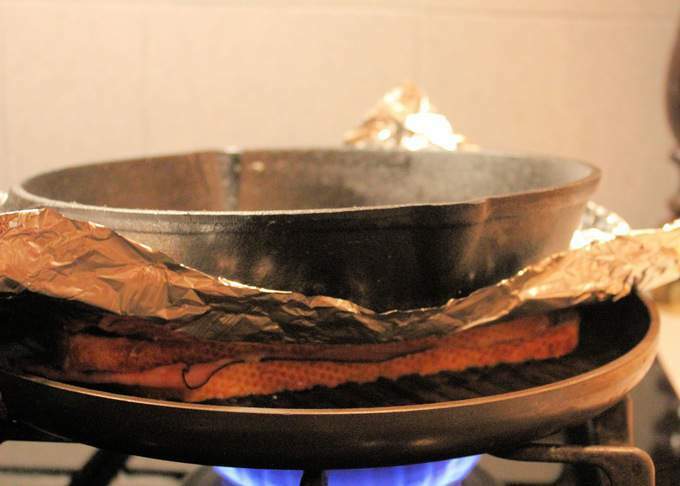 (like cast iron or even a dutch oven will work) and a piece of foil. Bread – oh so important when making the perfect Panini. I have tried several, but my favorite is sourdough. It is crunchy, but soft enough to eat. The grill marks show up nicely too. Some of the Artesional breads like are so tough that you can’t get through the bread to get to the ooey gooey center! Sandwich frustration! The combinations are endless…just put your favorite sammie ingredients between two slices of buttered bread, grill, press and you are a sandwich hero! Oh and check out my re-purpose of a rarely used kitchen item. 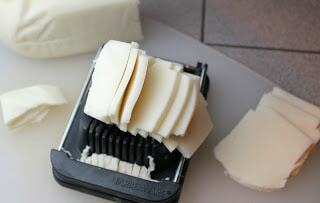 Egg slicer to slice the soft mozzerella! Butter outside of two slices of bread. Add ingredients to inside of bread and put together, buttered side bread up. Heat grill pan to medium high heat. Add sandwich. Top with foil and heavy pan. Flip and repeat until you have those lovely grill marks chararteristic of a perfect panini and all the cheese is melted and lovely!